Cinderella’s carriage is still rolling – just about. 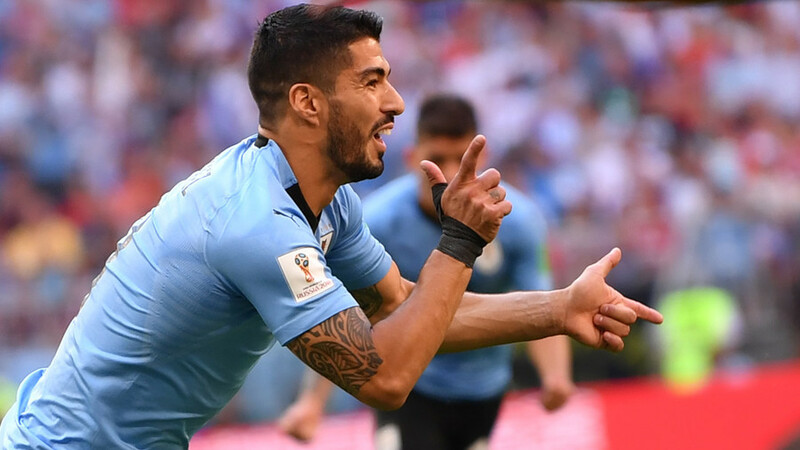 The underdog hosts charmed neutrals in their first two matches, but a stingy Luis Suarez-led Uruguay showed the standard Russia must match if it wants the ball to continue. As if by the wave of a magic wand, everything fell right for Russia against Saudi Arabia and Egypt, but the spell wore off with a hangover in Samara, where the home team was first unlucky and then poor. A precision strike from Barcelona’s Suarez, a freak deflection, and a quick red card meant the game was over before the first half was out. Despite being unsure what result will guarantee a match-up with Spain, Portugal or Iran in the second round, the two already-qualified teams fielded near full-strength line-ups for their decider. A 0-0 draw would have been enough for Russia, due to superior goal difference, but within ten minutes they knew they would have to find the net at least once. Yuri Gazinskii dived into a late challenge on the edge of the area, and Igor Akinfeev was late diving for his left as Suarez delivered a low shot past a wall that offered little protection. Now searching for a goal, Russia appeared galvanized, with good chances for Denis Cheryshev and Artem Dzyuba, the heroes of its two opening games. But then, just as the game leveled out, a cleared corner fell to Diego Laxalt, who pulled his shot wide, only for it to strike Cheryshev’s foot and deflect past the wrong-footed Akinfeev. This may have been the deciding moment of the match, had Igor Smolnikov, making his first appearance at the tournament, not decided to commit a second unnecessary foul, mowing down Laxalt in a slide tackle that couldn’t have reached the ball other than by sourcery. He was lucky his second yellow was not a straight red. Russia’s coach Stanislav Cherchesov symbolically threw in the towel when he took off Cheryshev in the ensuing reshuffle. For several minutes it appeared as if the hosts might crumble altogether, but Russia managed to keep the score level going into the dressing room, and maintained the respect of the roaring crowd throughout the second half. A late goal from Cavani confirmed the South Americans' superiority but did not change the narrative. Oscar Tabarez’ Uruguay will be pleased at the ease with which it found another gear to produce a confident performance, showing off structure, spirit and familiarity that has taken them into the play-offs. Russia will take solace from knowing that their second-round game will now take place in Moscow’s massive Luzhniki Stadium, though with bogeyman Spain the most likely opponent, the hosts will be hoping for yet another fairytale.